Bharatpur Electricity Services Limited (BESL), a fully-owned subsidiary of CESC Limited, commenced electricity distribution operation in Bharatpur, Rajasthan, on 1st December 2016, as a distribution franchisee of Jaipur Vidyut Vitaran Nigam Limited (JVVNL). Among several other distribution companies, CESC was awarded this franchisee on the basis of competitive bidding. CESC is India’s first fully integrated electrical utility company, generating and distributing power in Kolkata and Howrah since 1897. With a generation capacity of 1125 MW and more than 20,000 circuit kilometres of transmission and distribution network, CESC supplies electricity to almost 3 million High Tension and Low Tension consumers across an area of 567 square kilometres. The company has started a pan India presence by expanding through its subsidiaries. The Bharatpur distribution franchisee is spread over 50 square kilometres and the city has more than 52,000 power consumers with annual energy sales amounting to 230 million units. At Bharatpur, customer centric initiatives are being taken up to provide best-in-class service to power consumers by developing and modernising the existing distribution systems. Special attention is given to immediate fault rectifications, new connections and attending to consumer complaints. For any service related queries the toll free numbers are 1800-102-1912 and 1800-200-1912. 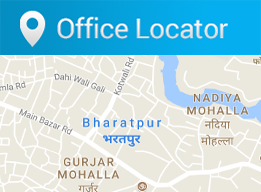 The BESL corporate office is located at R K Complex, Station Road, Nai Mandi, Bharatpur- 321001. 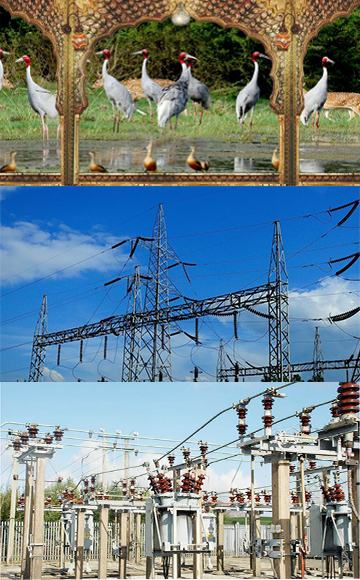 Bharatpur Electricity Services Limited - A franchisee of JVVNL & a wholly-owned subsidiary of CESC Limited - All Rights Reserved.